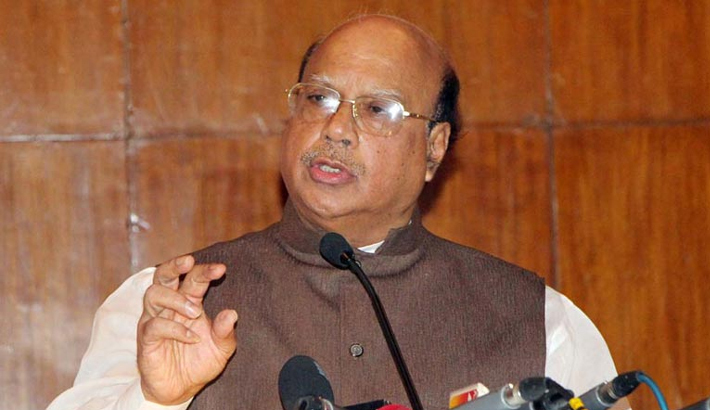 Health Minister Mohammad Nasim said Health Development Surcharge Management Policy will be finalised after the return of Prime Minister Sheikh Hasina from the United Nations General Assembly in the USA. The policy will be put forward to the cabinet for its approval, he said. Nasim came up with the statements while addressing a roundtable jointly arranged by Progga and the daily Samakal at latter’s office in the capital on Sunday. Nasim said that the government is ceaselessly working to turn Bangladesh a tobacco-free country before 2040. “We have faced various obstacles in reining in the use of tobacco, but we have never compromised,” he said. The minister said the government collects surcharge for controlling tobacco and the money will be used to curb the spread of tobacco. State Minister for Finance MA Mannan, lawmaker Fazilatunnesa Bappi, Samakal Managing Editor Abu Sayeed Khan, and Executive Editor Mustafiz Shafi were present, among others.